The façade of the Gieves & Hawkes house is one that signifies both the height of sartorial elegance and the spirit of British adventure. 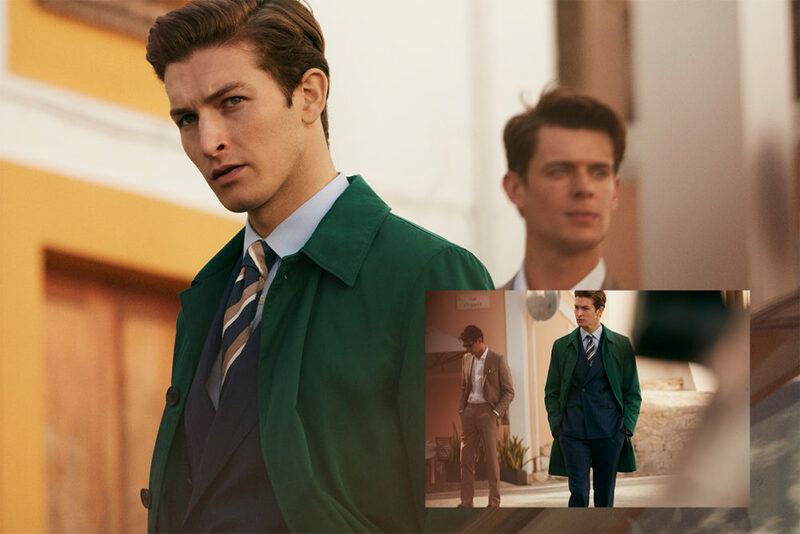 Formerly occupied by the Royal Geographical Society, No1 Savile Row has been the home of pioneering, exploration and the British cultural history it inspired for more than 200 years so it should come as no surprise that this season, Gieves & Hawkes have drawn upon this important history to inform their Spring/Summer aesthetic. In the 19th century, both Gieves and Hawkes were prominent outfitters to some of the Royal Geographical Society’s most revolutionary adventurers and botanists. 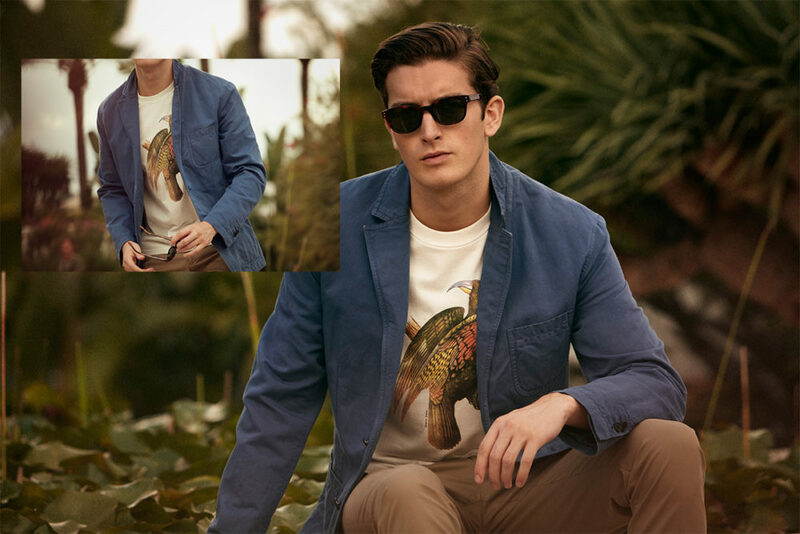 This season, creative director John Harrison has taken cues from this part of the house’s history, reimagining the lifestyles and discoveries of Britain’s most famous explorers in flora, fauna and soft, sweeping silhouettes. 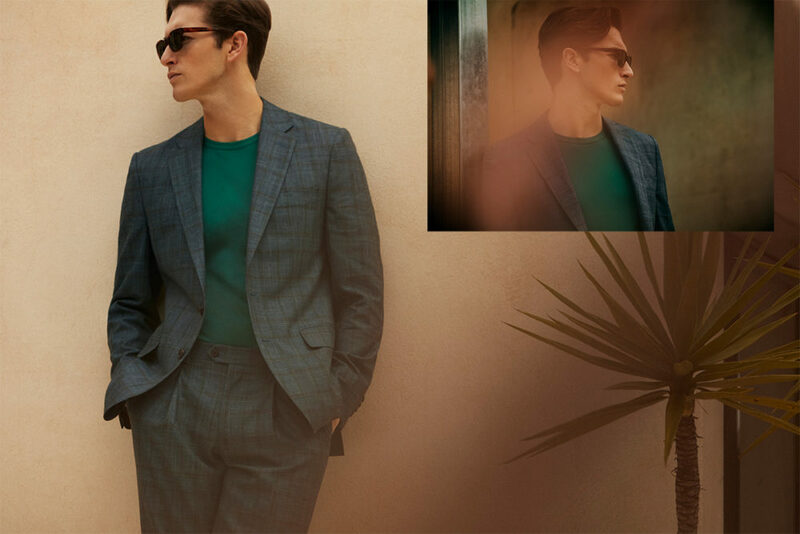 The resulting collection is one of luxurious design, sophisticated, semi-structured jackets and saturated tropical tones that mix elegant looks with sharp functionality. Inherent in the collection is a very British sense of adventure, with archive prints referencing botanical illustrations from 19th-century explorer journals running throughout. The madras check shawl historically tied around explorers’ pith helmets is revived in breezy linen and silk, and this season’s outerwear features the more technical construction used in the Autumn / Winter 18 raincoats – updated in relaxed, lighter fabrics and bold, refined tones. 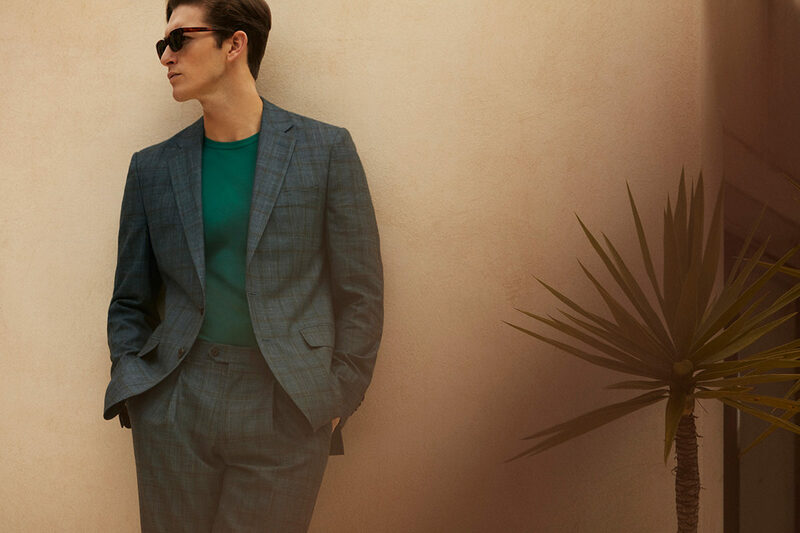 Pieces such as the jungle green raincoat and the stone safari jacket – cut from Loro Piana ‘Storm System’ linen – are bonded in water-resistant coating, and designed to layer perfectly over lightweight suits in less tropical, British climates. The design team has maintained the house’s signature cut while adapting the structure of its tailored offerings to be as light and comfortable as possible. Jackets feature a semi-unstructured, half-canvassed construction and lightweight shoulder pads. 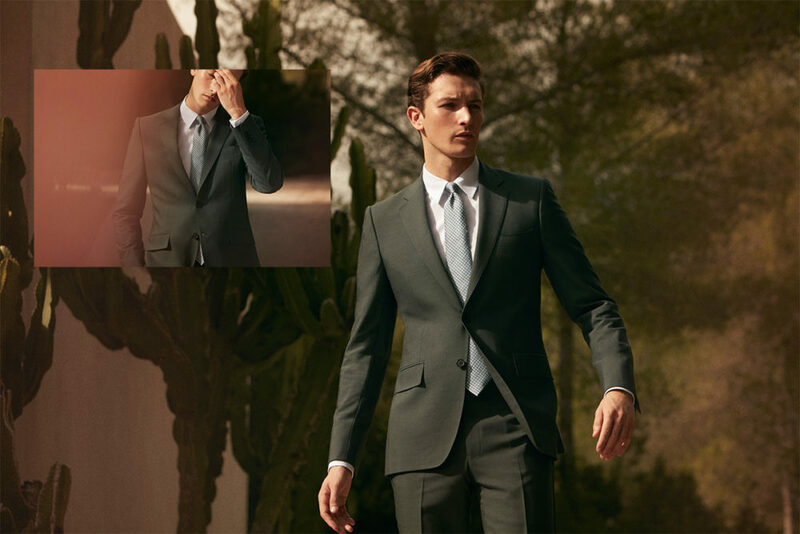 The result is a variety of sleek suits and separates with a contemporary British look, which are surprisingly soft and easy to wear. Superfine textured linen shirts and lightweight knitwear dominate the collection’s casual wear – ideal for lazy summer afternoons in the country. 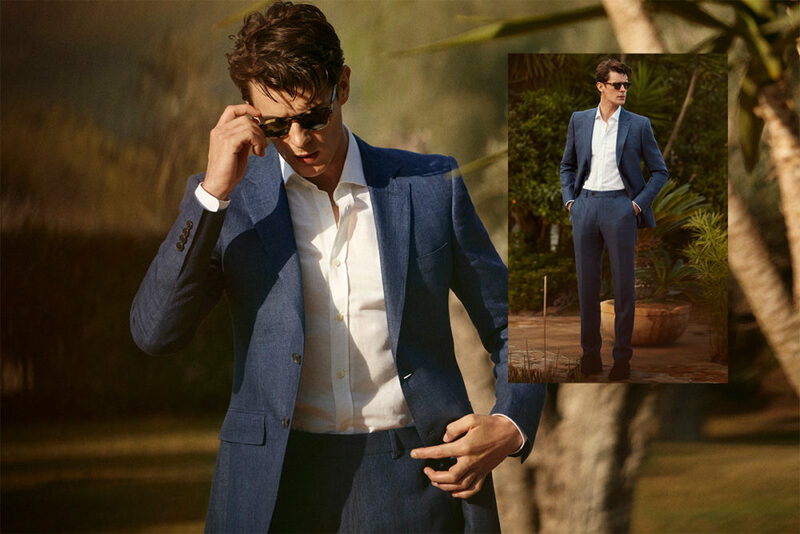 Warm sand, bold khaki, navy and powder blue make frequent appearances throughout the collection, colouring everything from formal wear to casual chinos. 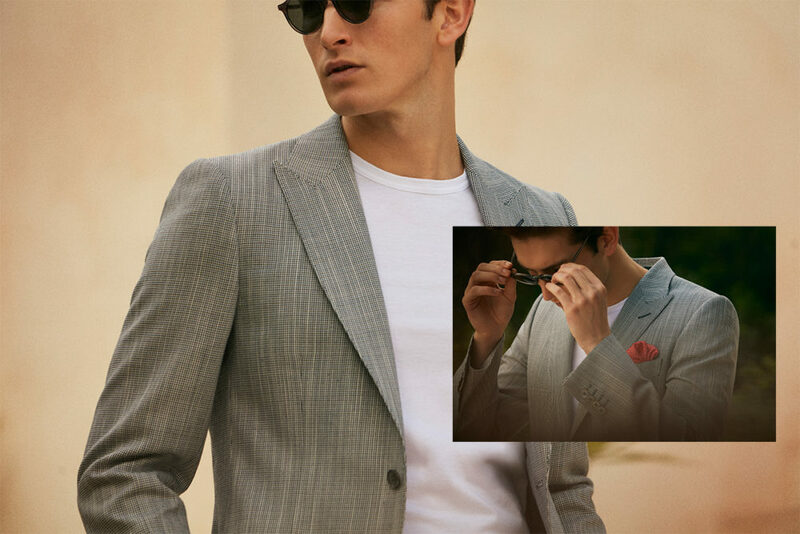 Cut in slim fit, classic fit, or a five-pocket style, the range of garment-dyed chinos offers a sophisticated, versatile summer option for the modern man.